Getting notified for an important time is a part of our daily life. Getting notified by alarm is a simple way to do that. 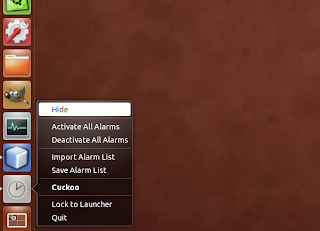 If you need a easy-to-use alarm application, you should try Cuckoo. 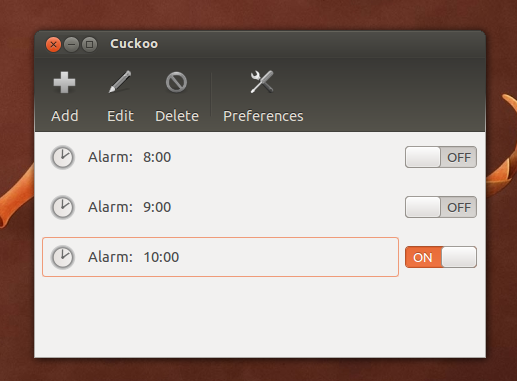 Cuckoo is a simple alarm application which designed specially for Ubuntu environment. It allows us to hide the main window and continue running in the background. 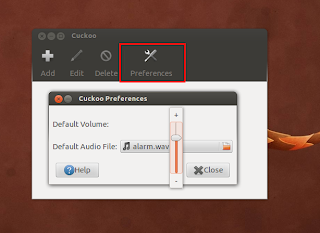 As it is designed for Ubuntu, Cuckoo supports Ubuntu Unity Launcher, HUD, and application indicator for easier and quicker access. It uses GStreamer media framework to play audio when the time has come. 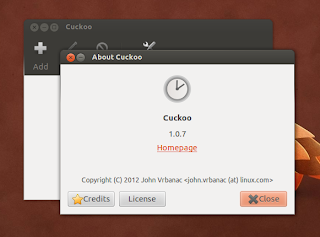 It means that Cuckoo can play media files that Rhythmbox can play. 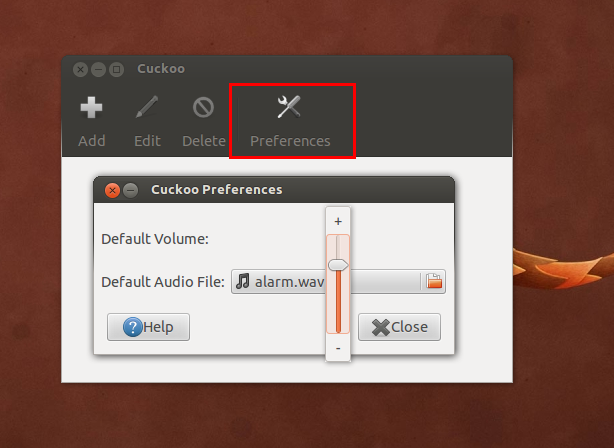 Once installed, open Cuckoo and set the volume of alarm in the "Preferences" window. 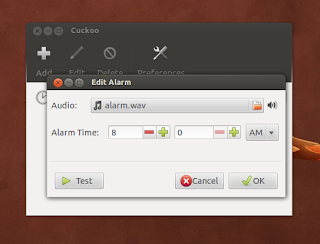 As you can see at the picture above, you can set the default audio file to play when the alarm rings. Adding new alarm is easy, click "Add" button and a dialog window will appear. 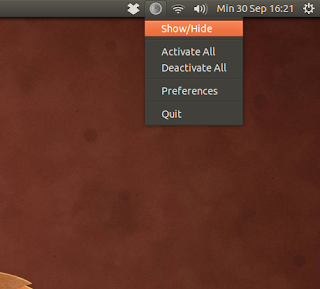 In here, you can set the audio file to play and alarm time. Optionally, click "Test" to listen the audio file you've entered. 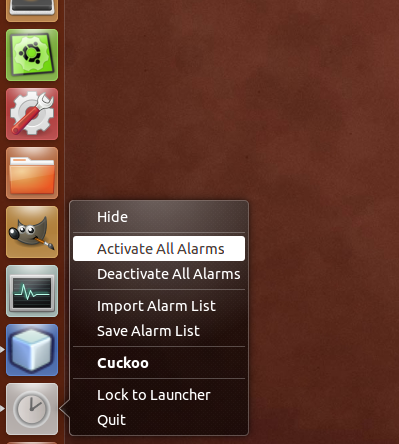 Managing alarm lists is a piece of cake in Cuckoo, you can enable or disable all alarm or one by one. Once you've done creating and managing alarm list. Now, it's time to hide Cuckoo. 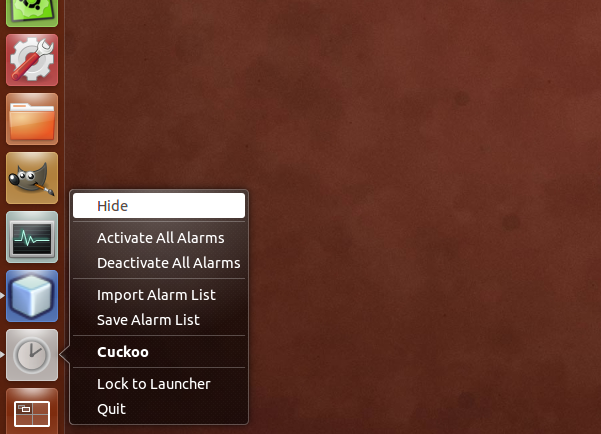 Right click Cuckoo's icon on Unity launcher and click "Hide". 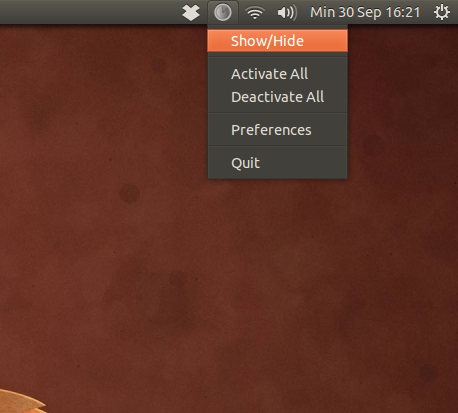 To show it again, click "Show/Hide" on application indicator. Well, Cuckoo is suitable for non technical users who don't want complicated settings to have "just" an alarm clock.